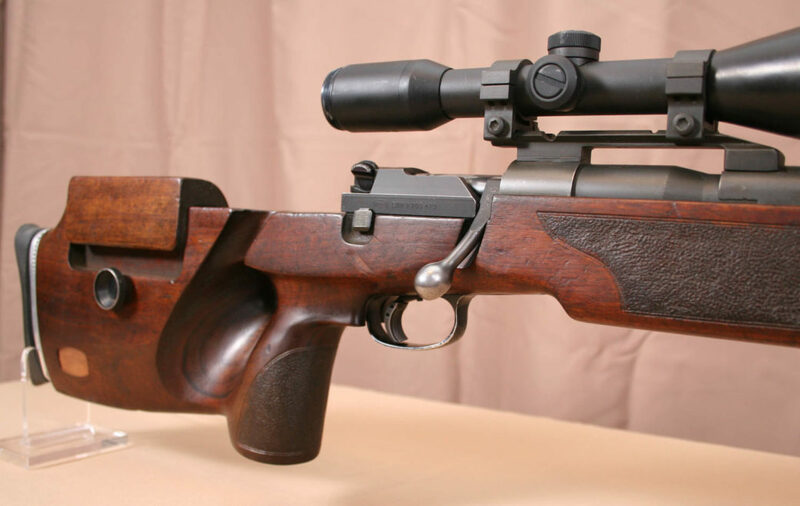 The German firearms maker Mauser has a long and storied history with rifle development and many modern rifle designs can trace their lineage back to the legendary Mauser 98. Mauser has been an innovator in the German firearms industry for over a century now and they continue to build rifles today. 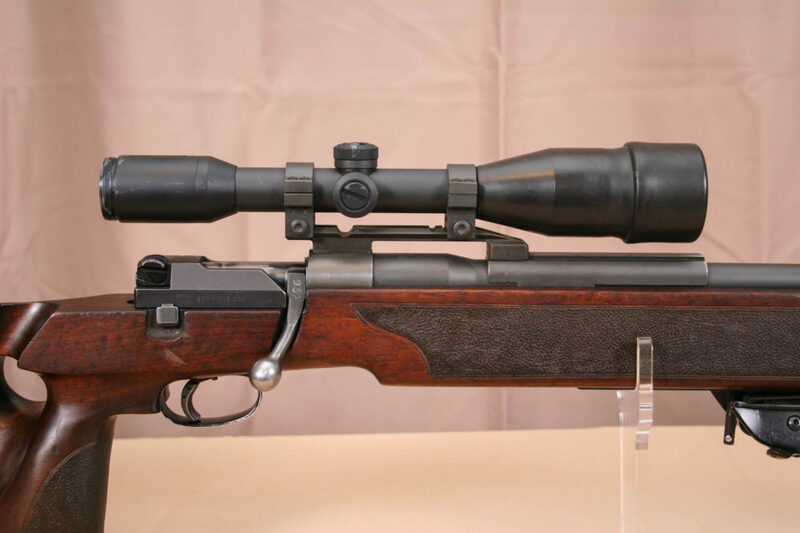 In the middle of the cold war during the 1970s, Mauser decided to enter the dedicated sniper rifle market and they began work on what is called the Mauser SP66, or it is also known as the 66SP. 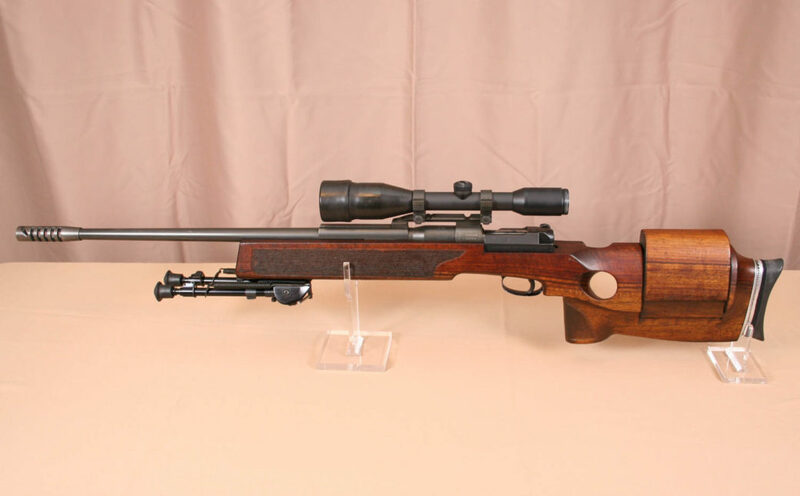 The base rifle that they started with was their already existing Model 66 Super Match target rifle, itself based on the Model 66 hunting rifle. 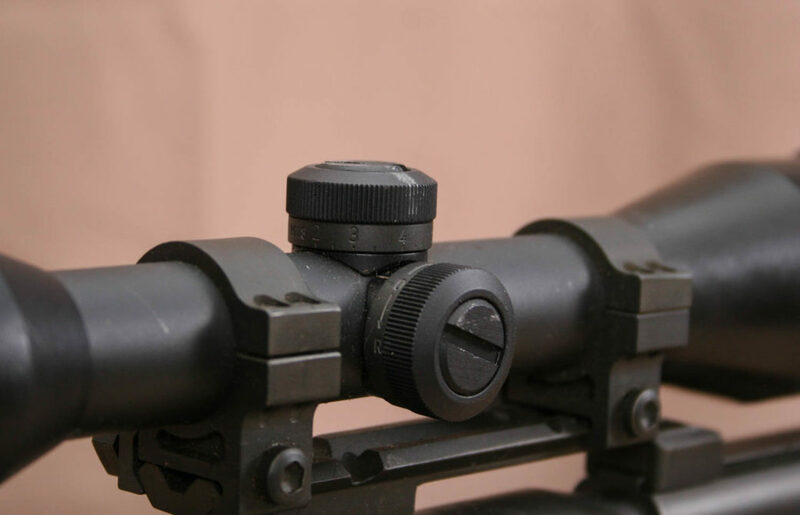 They added a muzzlebrake of their own design and then mated it with a Zeiss 1.5-6x scope with BDC elevation knob. The stock itself is something to behold. 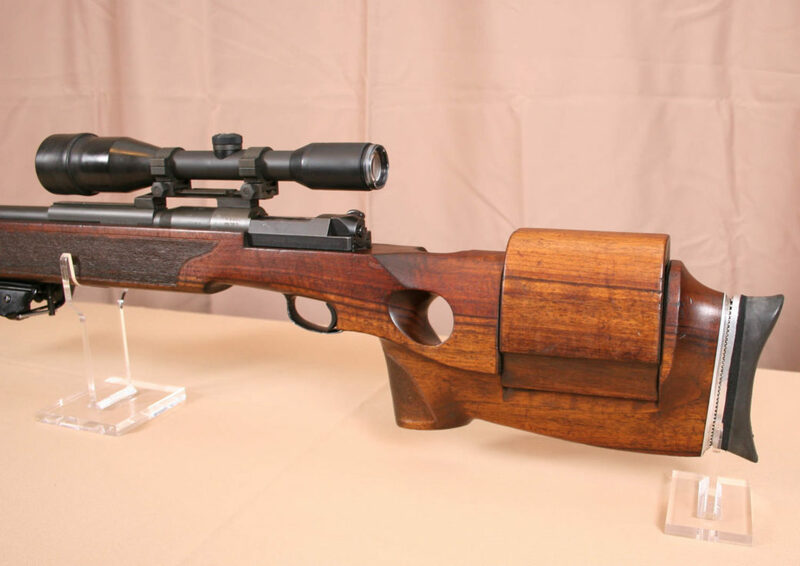 It is a walnut stock that is a pure target style stock that is highly contoured for target shooting and is adjustable in many different ways. It has a thumbhole pistol grip and is extremely comfortable, provided you are right handed. There was never a left handed version of the rifle made and it is unusable by lefties. The size of the wood stock is bulky and it does add considerable weight to the overall package. The bolt action is a curious design and is nothing like a conventional two lug bolt action design that is so common on bolt action rifles. No is it like any Mauser 98 derivative. 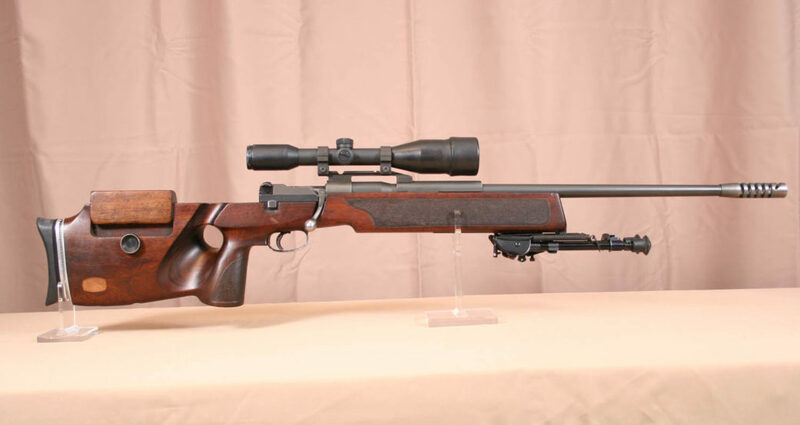 The stroke is short, as is the bolt rotation, and these attributes allow for fairly rapid follow-up shots, especially as the recoil is tamed by the muzzlebrake and the weight of the rifle which is near 13.5 lbs with optics. The rifles were only chambered in 7.62x51mm NATO (.308 Win) and the barrels were nearly 29″ (counting the muzzlebrake). 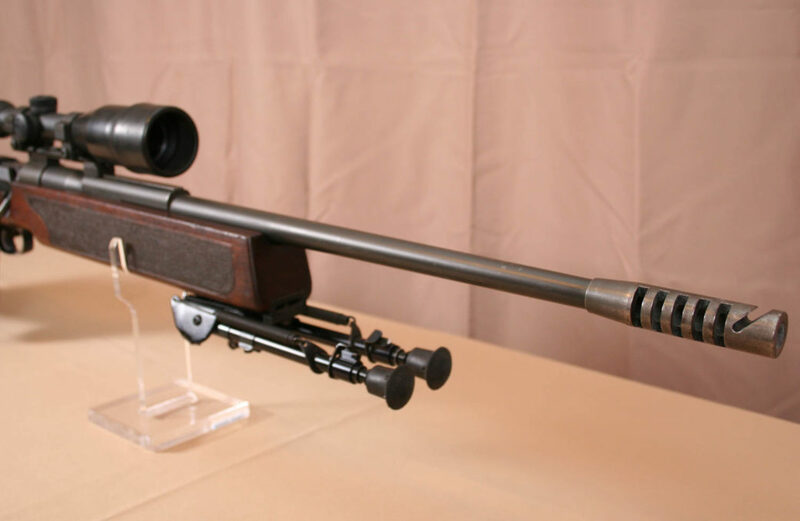 Obviously, because they were based on a super match rifle, accuracy is very good and the rifles were marketed to both Law Enforcement and Militaries around the world. Israel was one of those customers that employed the SP66. 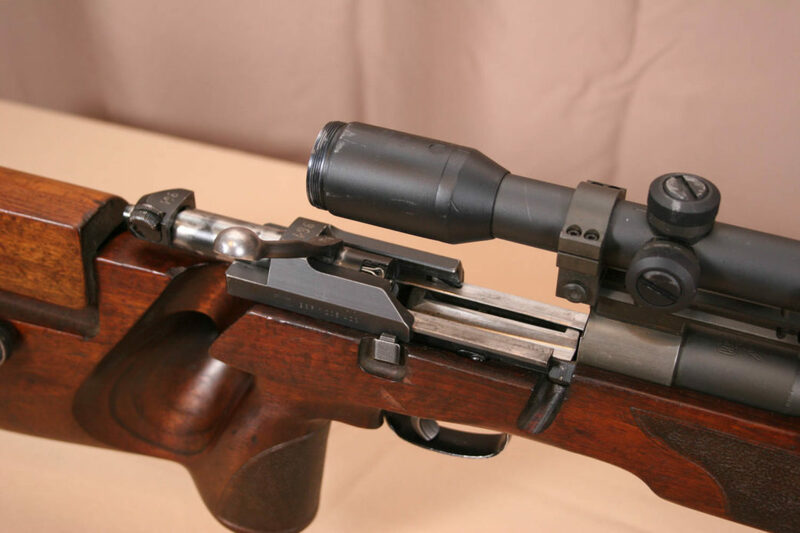 The rifles stayed in production until the 1980s and was eventually replaced by the SR86. We acquired our rifle seen here about seven years ago from a private party and it came complete with the matching scope. The eyepiece ring on the scope is missing in the pictures below, but we have it. This rifle was not one of the Israeli rifles brought in by Springfield Armory, which is where most of the rifles found in the USA today came from. Our rifle has been shot, it was certainly not a safe queen, but it is still in very good condition and the action is extremely smooth. It is very interesting to watch the bolt as you cycle it and marvel at the engineering that was involved. Perhaps it is more complex than it needed to be, but it worked. 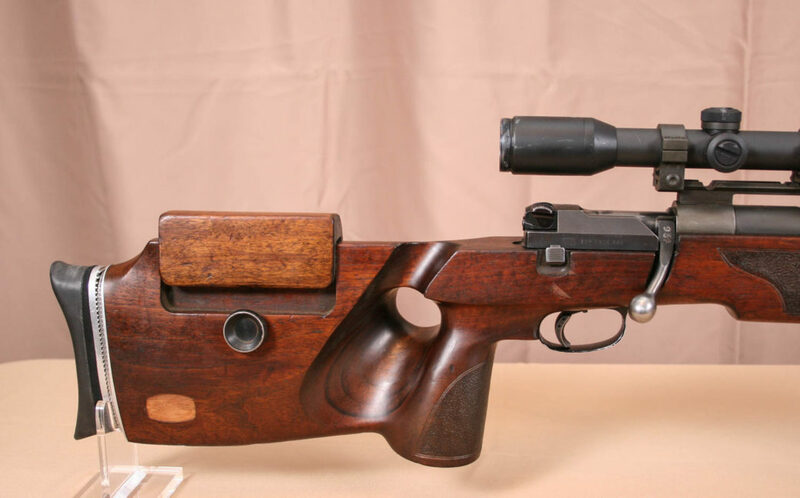 Our rifle is missing the Mauser logo on the right hand side of the buttstock, though you can see exactly where it used to be due to the lighter colored wood. 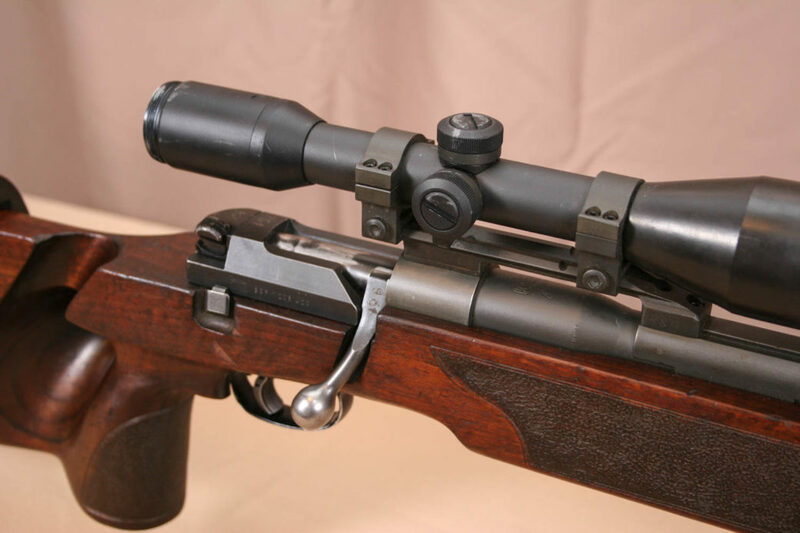 We really like this rifle as it kind of bridged the gap between the old generation and new generation sniper rifles. They saw action around the world and the build quality and accuracy was very high. We are proud to have this one in our Sniper Central Collection.